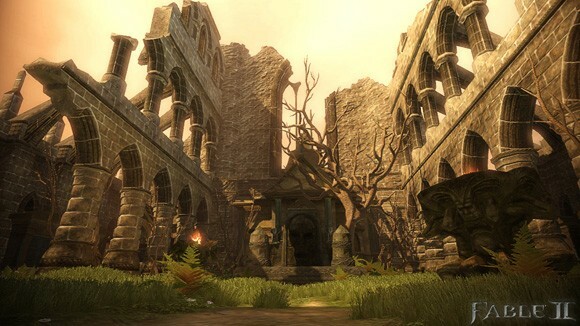 Bringing the game’s grand total up to 1350 points, the full list of Achievements for Fable 2‘s upcoming DLC, “See the Future,” has been unveiled by the Lionhead Community blog. Since it includes such classy Achievements as “The Paramour: Make love 25 times” and “The Nutcracker: Score 25 groin shots,” we’re quite certain those venturing back into Albion will find no shortage of buffoonery to engage in. We’re still not quite certain what day in the next month the second add-on will arrive, but we do know it’s fetching 560 ($7). Considering we’re rounding the end of April any minute now, though, we imagine Fable 2 developer Lionhead Studios will see fit to announce a release date soon. Now that’s seeing the future.